I like simple, elegant, clever puzzle games. When so many video games aim for fast action and quick gratification (even in the puzzle genre - Sushi Strikers is categorically manic), a nice, minimalist, reflective puzzle game can be a true zen-like experience. Hexologic is just that kind of game. Unfortunately, simple, clean, elegant puzzle games also have few opportunities to stand out. Really, the one card they've got up the sleeve is to be both mentally simulating and suitably taxing, while also being accessible. Here, Hexologic falls down. It's far, far, far too simple in its logic and its puzzles are much too easy to fly through. The ultimate result is the game struggles to remain in the memory. Hexologic bills itself as a spiritual successor of sorts to the mighty sudoku. Sudoku is that game you're looking to fill up nine-square boxes so that the numbers one-nine fill the box with no overlap with the other boxes in the overall puzzle. It's exceedingly simple in theory but everything that I want in a puzzle game in practice, because the logic you need to apply to solve some of the puzzles can make the Rubik's Cube seem simple. Hexologic, meanwhile, gives you a field of linked hexagons, and on the edge of those shapes are a series of numbers. Your goal is to fill each individual hexagon with a number of "dots" such that the sum of all the linked hexagons in a row equals the number displayed on each edge. Sound complex? It's not really. The game's first dozen or so puzzles act as an effective introduction to the formula and you'll figure the flow of the game out from those puzzles without so much as a whiff of a "tutorial" to help you out. Early levels feature maps of hexagons that might be four, five or six in size. That number grows as the puzzles become more complex, and you need to start to think about multiple chains of "dots" at the same time. For example, imagine there's one hexagon in the middle of an intersection of three rows, each with their own intersections. 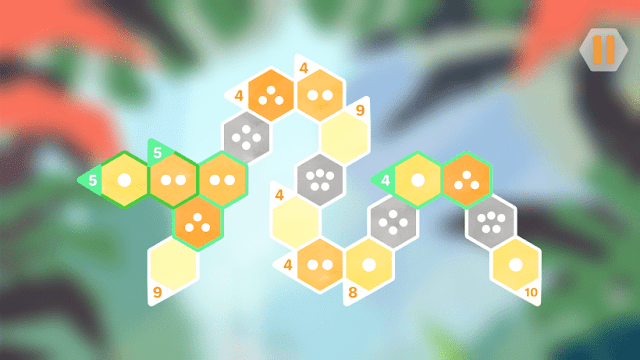 Figuring out which number will fit in that one hexagon, while understanding the chain of affect that different numbers will have on each and every other row of hexagons is the secret to success in Hexologic. For that reason I'd argue that the game actually has more in common with crosswords than sudoku; just as changing a single letter can have a ripple effect that ruins your entire crossword puzzle, so too can getting putting the wrong number of dots in one of Hexologic's hexagons. The game also reminded me of my favourite excuse that has come from the Sydney Trains higher ups for why their service is so disastrously bad (anyone who's actually used Sydney Trains would know what I mean... we've all had two hour delays to our trips). For the longest time, Sydney Trains' PR strategy was to insist to people that the "train network is a complex thread of interlinking stations and train routes". If a train on one line was delayed, the follow-on impact on all the other lines could slow the entire network to a crawl. Hexologic, too, provides players with a network of hexagons to fill in so that they all work harmoniously together. This is apparently a type of puzzle that some find more difficult than others, because Sydney Trains' network is actually ridiculously simple (sit the Sydney Trains map next to the Tokyo city train network for proof). Unfortunately, Hexologic seems to have been made for the people who designed the Sydney Trains network so they can feel good about how smart they are. Perhaps it's just me. I'm always a little leery about claiming a puzzle game is "easy," because different people do have a different sense of logic and I don't mean to make implications if you find a puzzle game hard that I find easy. Mostly because it'll work in reverse and puzzle games you find easy I'll find incredibly difficult. For example, I'm terrible at spatial puzzles and have never been able to actually complete games like Portal without other people's assistance. 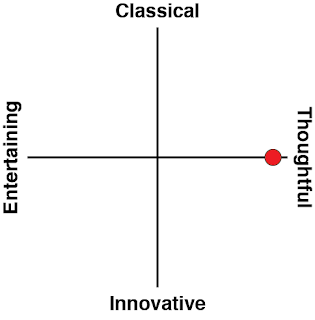 But I did find Hexologic to be very, very easy. I was never stuck on an individual puzzle for more than a minute or two, which meant I just flew through this game. Invariably each puzzle contains simple "clues" to get you started into the puzzle. For example, a puzzle will start with a hex with seven dots in it, and one row crossing through it will have a "nine" indicator at the end, with three hexes comprising the row. Given you can't leave a hex blank, the only option is for each of those two boxes to have one "dot" in them. Even on the most complex of puzzles these obvious "starts" that the game gives are more than enough to cruise through the rest of the puzzle from there. Hexalogic's PC version is compatible with Steam Workshop, allowing people to create and share their own levels. This feature, were it built into the game itself (i.e. a "level creator") would have done the world for extending the longevity of the console version. 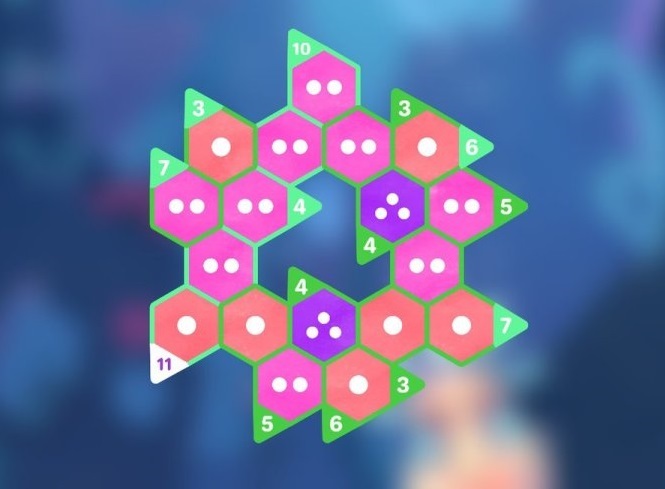 Players would have been able to come up with some truly devilish puzzles, and really pushed the beautifully elegant structure that Hexologic has to its limits. The puzzles that the developers have given as a default were fine to cruise through over a couple of nights before going to sleep as a way of unwinding, but with only sixty levels, there is far too little meat to this one's bones. 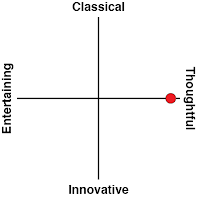 Hexologic is beautiful in its zen minimalism. The soundtrack is gorgeously relaxing, the beautiful aesthetic makes wonderful use of crisp lines and white space to be the kind of thing I'd happily point design students to as a way of doing interfaces and modern chic properly. That beauty is backed up with an elegant, efficient, and clever logic foundation, and as a result it's all very classy and the kind of experience you can enjoy with a glass of good red wine. It's just disappointing that Hexologic didn't prove testing enough on the intellect to be a truly spectacular example of a puzzler. 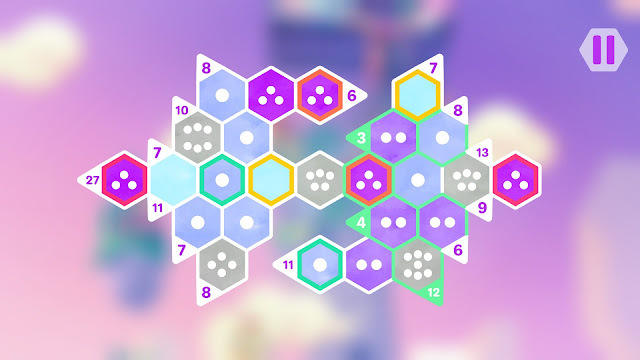 The foundations are there, and all the developers needed to do was give people the tools to create and share their own puzzles on Nintendo Switch, and Hexologic could have been something truly special.